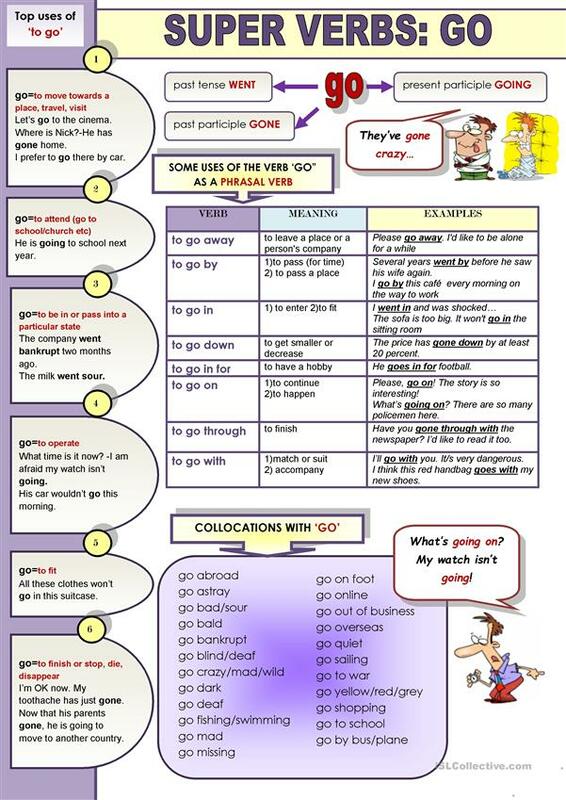 Introducing phrasal verbs step by step with the common "go" as a basis. A good way to teach transitive and intransitive verbs and how some verbs need prepositions. Explains direct/indirect objects without the need for a lot of presentation time. The present downloadable teaching material is best suited for business/professional students, high school students and adults at Pre-intermediate (A2) and Intermediate (B1) level. It is valuable for revising Phrasal verbs in English, and is useful for strengthening your students' Speaking, Reading and Writing skills. blackpagoda is from/lives in Thailand and has been a member of iSLCollective since 2012-03-11 07:09:26. blackpagoda last logged in on 2014-10-09 15:45:33, and has shared 1 resources on iSLCollective so far.